The 1st robot designed to perform teleoperated ultrasound scans was rolled out in 2003 as a result of research work by Professor Philippe Arbeille at Tours Hospital, France, supported by ESA* and CNES. Today, the ARTIS** project funded by ESA is set to test a full-scale robotic tele-echography service. An ultrasound scan is the 1st thing a doctor calls for if a patient is experiencing suspect abdominal pain. But an expert sonographer skilled in operating an echographic probe and interpreting scanner images isn’t always to hand. It was to overcome this deficiency that in 1997 Professor Philippe Arbeille at Tours Hospital came up with the idea of a teleoperated robotic arm, developed with support from ESA and CNES. The robotic arm on the patient's abdomen. Credits : CNES. How does it work? A nurse or paramedic places the robotic arm with an ultrasound transducer attached to it on the patient’s abdomen. At the same time, a sonographer tens or even hundreds of miles away teleoperates the probe using a joystick and performs a diagnosis on screen in real time. Several versions of the robot have already demonstrated its capability and the concept’s feasibility. However, it still has to be validated in real-life operating conditions to evaluate its long-term potential. “There’s a huge difference between a one-day technological demonstration and setting up a pre-operational service designed to run for several months, and this project is attempting to make that leap,” explains Didier Schmitt, ARTIS Project Manager at ESA. The sonographer operates the probe using a joystick and is able to perform a diagnosis on screen in real time. Credits: CNES. Close attention will be paid to the quality of the satellite link, as that is what determines the quality of the ultrasound images. 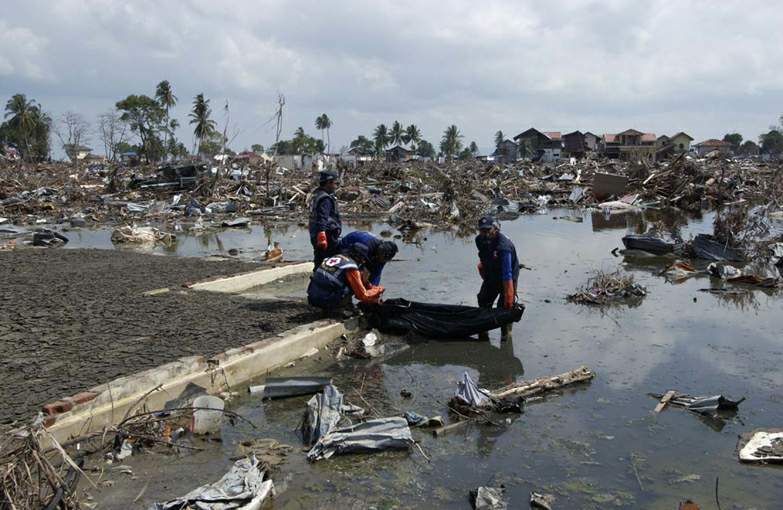 Telephone landlines are sometimes good enough, but a satellite link is vital when examining patients in remote areas..
A satellite link is vital for patients living in remote areas, like here in Indonesia after the tsunami. Credits: CICR/T. Gassmann. The tele-echography service is expected to benefit smaller hospitals that often lack sonographers, as it will enable expert diagnosis and avoid systematically transferring patients to larger hospitals. Teleoperated scanners will be installed at pilot sites during the 1st quarter of 2009 the service will be tested throughout this year. If results are good, tele-echography could be deployed in smaller hospitals as well as remote villages in Africa or South America. *Advanced Robotic Tele-echography Integrated Service. **European Space Agency : l'Agence spatiale européenne. Space for Health - On ESA Website. De l'espace pour l'humanitaire - Déploiement opérationnel du conteneur Emergesat - décembre 2007. La centrifugeuse humaine - janvier 2008. Echographie à distance - mai 2008. ARTIS : la télé-échographie est-elle économiquement viable ? - actualité du 7 mars 2008.